Can I have guests stay at the property? Family, friends, business associates, or anyone else you designate, can be accommodated as your guests. Guests are treated as family and may join you, or use the property should your schedule not allow you to attend at the same time. Guests shall be your responsibility and are required to respect the CC&Rs, Bylaws and Rules & Regulations. Can I rent out my unused time? Yes! Our villas allow for the rental of your fully owned villa or priority fractional time and you may take advantage of our in-house rental program to administer the rental of your property. 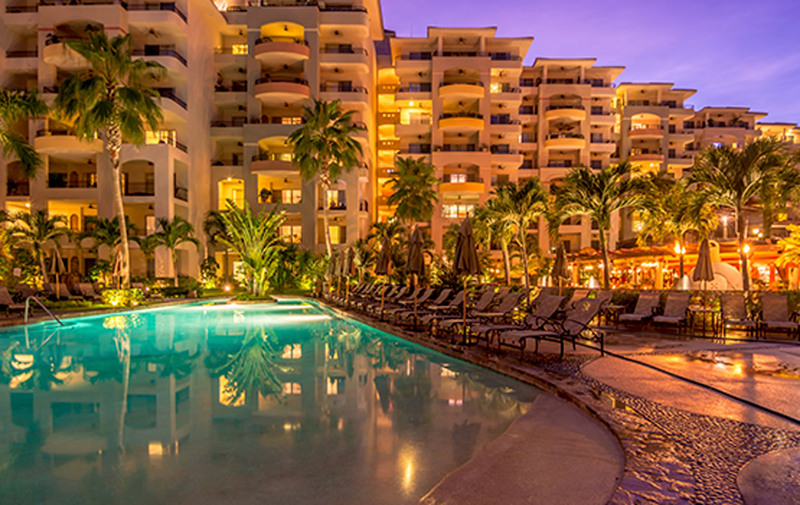 Is ownership at Villa La Estancia eligible for tax considerations? Like any deeded real estate, full or fractional ownership at Villa La Estancia offers potential appreciation, depreciation, interest and expense deductions. At your discretion, you may sell your property or your fractional share, gift it or bequeath it to someone in a will. Your tax advisor will be better suited to provide specific details, and advise what your individual tax circumstances may offer. Does Villa La Estancia offer financing? We are offering financing for a limited time on the developer’s units for qualified buyers. We can finance your property for up to 10 years, with a typical deposit of 25% of the share price. Most owners will, however, either pay all cash, or opt to pay for their share with equity from their primary residence, using a line of credit. The property management team oversees the common areas taking care of all the maintenance repairs, replacements and wear and tear as required. Landscape and pool maintenance is performed on a regular basis by professionals on site, as well as structural maintenance, including painting and repairs as and when needed; all of which is covered by your HOA dues. For fractional purchases, a professional housekeeper is supervised by the management team, ensuring your villa is always clean and maintained in a first class condition for your arrival, as you would expect. This service is optional for full owners. Can I sell my fully owned villa or fractional share in the future? You may sell your full ownership or fractional share just like any other traditional real estate sale through our very own Villa La Estancia brokerage or privately as you wish. Fractional ownership at Villa La Estancia is the shared ownership of a villa with "partner" owners who enjoy their home at different times of the year. Villas in this program are divided into fractions of 1/4 (13 weeks) or 1/8 (6 weeks) in perpetuity. The concept isn't new but the term "fractional ownership" is fairly recent. Friends, relatives, and business partners have been pooling their resources to buy a second home for centuries. In the early 1990s, fractional ownership of private jets became popular, followed by yachts, then luxury vacation homes. Is Villa La Estancia fractional ownership a timeshare? No, it is not a timeshare. The buyer owns titled real estate for a particular villa (as opposed to units of time or points). As the property appreciates in value, so does each individually deeded fraction. Owners can sell their fraction whenever they choose. How do I know my schedule for use? You will be given a usage schedule when you purchase that will enable you to plan years in advance, so you will know exactly when you have access to your property. During your allocated time, you can arrive at a moment’s notice. As a fractional interest owner, will I have exclusive use of the property? Yes, the property will be exclusively yours to use for the time allotted by your contract purchase. The housekeepers clean the property thoroughly in preparation for the arrival of each owner. You may arrive any time during your calendar schedule. For example, some owners will skip the weekdays and arrive for extended weekends. Who are fractional properties really for? This type of vacation real estate ownership is ideal for those who want the same benefits of full ownership of an impressive second home, complete with management services, located in a very exclusive community. With fractional ownership you can typically purchase a property that is more luxurious than you may otherwise choose to invest in. Most fractional owners are frequent visitors to the resort area, and want something they can call "their own" to share with friends and family members. These buyers are looking for an upscale vacation property they can call their own with the same luxury and benefits of full ownership yet without the responsibilities and costs associated with a wholly owned second home. How do Villa La Estancia’s fractional villas differ from residence clubs, condo hotels or floating fractionals? While they all offer luxurious accommodations and services for the person seeking a vacation home, residence clubs and condo hotels etc. tend to offer right-to-use of an individual room or suite within a major multi-unit complex. In most cases, ownership is of a "like kind unit", meaning you will rarely stay in the same unit twice. Effectively, you have bought a “floating floor plan” in the complex, not a specific unit, even though you may have a title to the overall property. With fractional ownership at Villa La Estancia, you receive the deeds to your specific villa, which you can use every time you visit versus a floor plan where you float from similar unit to unit. You own titled real estate which is yours for life.